Dental implants are a natural looking, permanent solution for the replacement of missing teeth. They offer a more realistic look and feel than dentures and can last a lifetime. 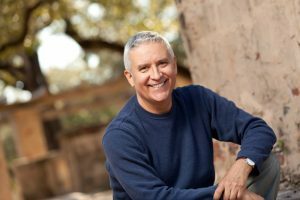 For the millions of Americans who will lose their teeth to decay or periodontal disease, dental implants can dramatically improve both their appearance and their quality of life. Who are dental implants for? Our specially-trained doctors in Hingham, MA offer dental implants for patients who have lost a single tooth, multiple teeth, or even all their teeth, as well as for providing support for dental bridges and dentures. Are Dental Implants Just Like Natural Teeth? The titanium posts of the dental implants are placed in the jaw bone where they eventually integrate with the bone, functioning similarly to the root of your tooth; but what goes on top of the dental implant for you to chew on? 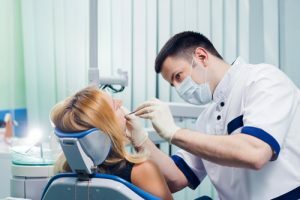 are dental implants covered with? Our doctors work with your restorative dentist and/or other dental specialists who will place crowns, bridges or dentures that are designed to look just like your natural teeth. Dental implants look and function just like your natural teeth, affording you a secure restoration with which you can feel comfortable chewing. Implant dentistry is not new. It has been used for several decades although the technology has continued to develop. Many patients find that they seek out dental implants even after opting for dentures, because dental implants offer so many advantages that dentures simply cannot. Dental implants, are securely held in place, unlike dentures. The placement of dental implants does not require the grinding down of your natural, healthy teeth in order to accommodate the crowns that would anchor a dental bridge. Dental implants, serve to stimulate the jaw bone, stopping the bone deterioration that occurs naturally as a result of a missing tooth. The dental implants are undetectable. Your friends will notice only your beautiful smile and not your dental work.